Are you still wondering where to go on New Year’s Eve? Stop hesitating! 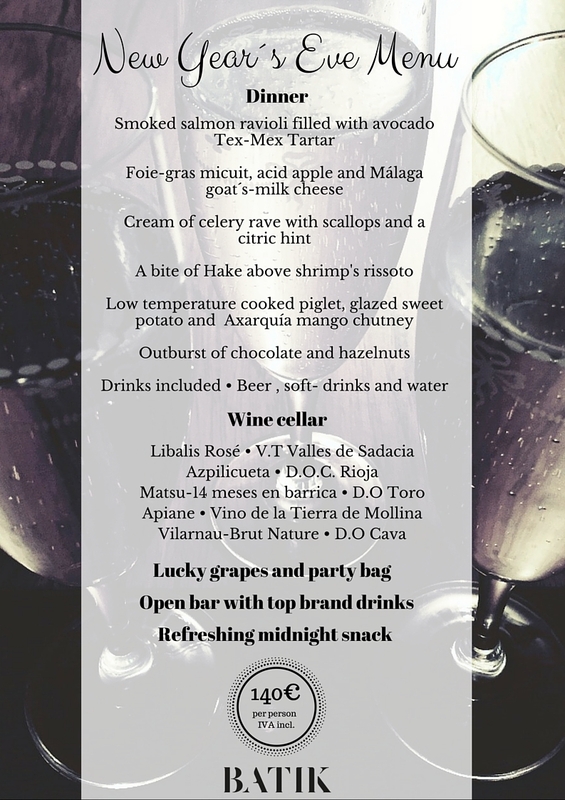 We have prepared for you a special New Year’s Eve dinner so that you can say goodbye to 2015 in Málaga’s best boutique hostel. Our restaurant Batik has come up with a special menu for the occasion to celebrate the beginning of the New Year in a magical atmosphere. The night will start with an extraordinary New Year’s Eve dinner including with some excellent local wines and, after dessert, we will celebrate together the beginning of the new year with the Spanish tradition of the lucky gapes, and will continue with an open bar with top brand drinks, good music and, above all, excellent company. Also… to restore your energy, we will serve a refreshing midnight snack at 3 am. 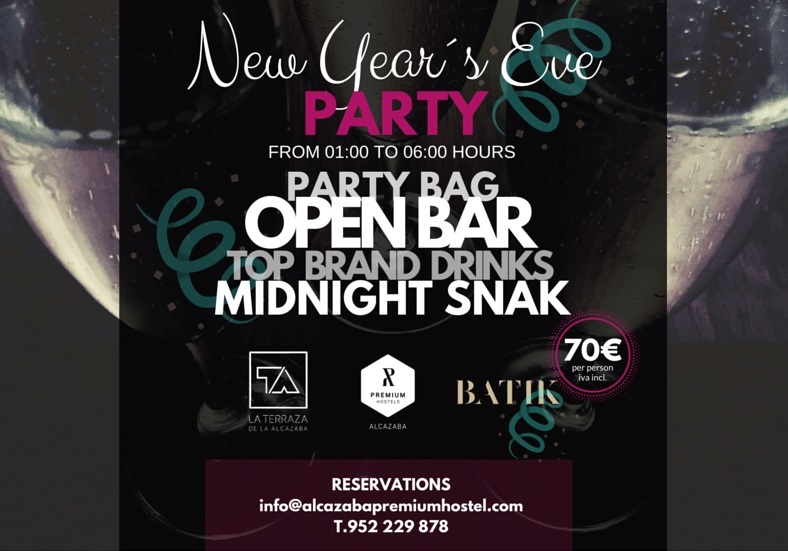 At Alcazaba Premium Hostel we have thought of everything in order to make your New Year’s Eve party in Málaga unforgettable. If you’re coming with 6 people or more, we have a shared rooms available for all of you at no additional cost (subject to availability). This way, you won’t need to worry about anything and dance until you drop, since there will be a room waiting for you. You will see the first sunrise of 2016 next to Málaga’s Alcazaba in the very heart of the city’s old town. Alternatively, if you already have plans for dinner, you can always join the party after midnight. This way you will enjoy our special package including party favours, open bar with top brand drinks, midnight snack and fiesta until the break of dawn. Do not wait any longer! Places are limited, you can make your reservation now via telephone or e-mail. We will be waiting for you!